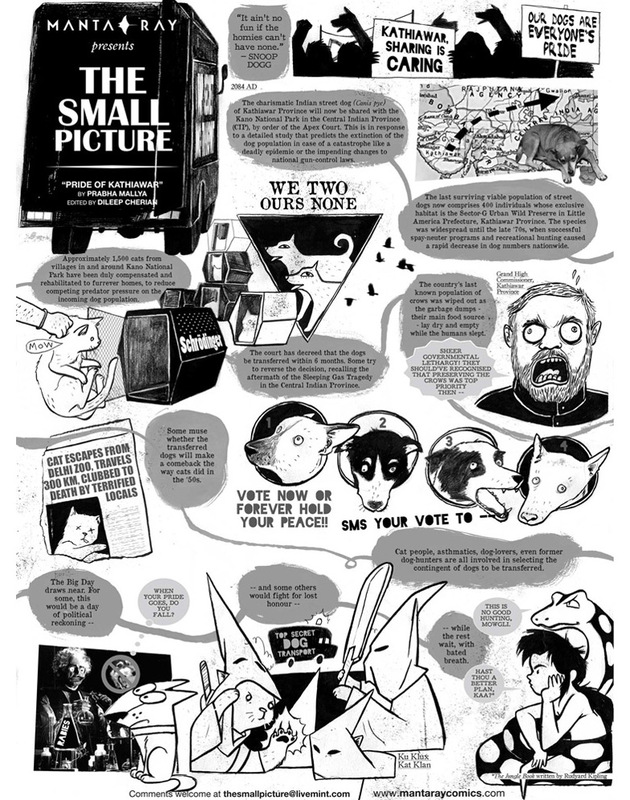 The Small Picture is a full-page comic published each Friday in the Mint. It was conceived of and is presented by Manta Ray—one of India’s most notable independent publishers of comics, showcasing the collaborative work of emerging writers, illustrators and designers, such as Prabha Mallya, Jasjyot Singh Hans and Akhila Krishnan. 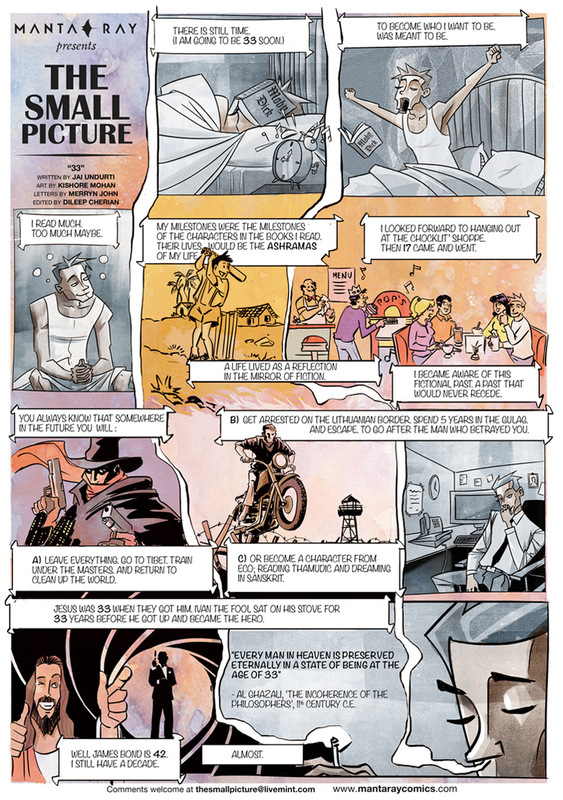 Traditionally graphic novels and narratives have been consumed by a limited audience in India, with brief cartoon strips like The Common Man being most common in newspapers. The Small Picture with its origins in a longer, richer format of visual storytelling, has opened up a new way of expressing relevant social and cultural issues to a broader audience across India.